It is a secured credit card, which means it is issued against a collateral of a fixed deposit (FD) with the bank. You can choose the tenor of the FD as well, which means your card will be valid till that tenor. Normally the tenor of the FD is for a year. And the FD gets renewed automatically and hence your card’s validity gets extended automatically. Rate of interest: You need to pay 2% per month or 24% per annum. Keep in mind that your FD continues to earn an interest. For instance, currently an FD of ₹ 1 lakh in Development Credit Bank Ltd earns an interest of 10% per annum for a tenor of 18 months. The fees: The annual fee on this card is ₹ 350. The cash advance (when you withdraw cash through an automated teller machine using your credit card), the fee charged is 2.5% of the cash advance or ₹ 250, whichever is higher. In case you are late on payments, you will be charged ₹ 100. In case your cheque bounces, you will have to shell out ₹ 250. A lost or stolen card would be replaced at a cost of ₹ 150. The bank offers a complimentary personal accident (road/rail/air travel) insurance cover of ₹ 1 lakh with the card. There is a zero-lost card liability benefit on your card purchases from the time you report that your card was lost. You will also get zero fuel surcharge facility on the card at all petrol pumps across the country. This fuel surcharge will be charged to you initially and then it will be refunded to your account on a monthly basis. This card also comes with an introductory cash-back facility, wherein you will get ₹ 100 cash back in your account on spending ₹ 1,000 from the card within the first three months. 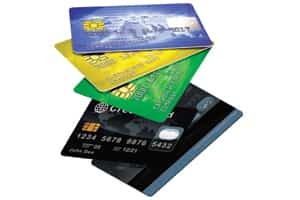 It’s a secured credit card, which means it will work better for those who want to build or rebuild their credit history. The bank offers this card to all segments of customers and not just salaried individuals. If you are self-employed or a homemaker and want a credit card, you can get this one with ease. While the rate of interest is on a par with what most other secured credit cards offer, there are credit cards that come with a slightly lower interest rate.